Winner of the UK leg of the Diplomatico World Tournament. 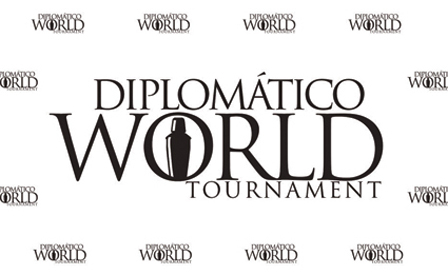 The UK heat of the Diplomatico World Tournament took place at The Rumpus Rooms at the Mondrian Hotel, London on Tuesday 17th March 2015. 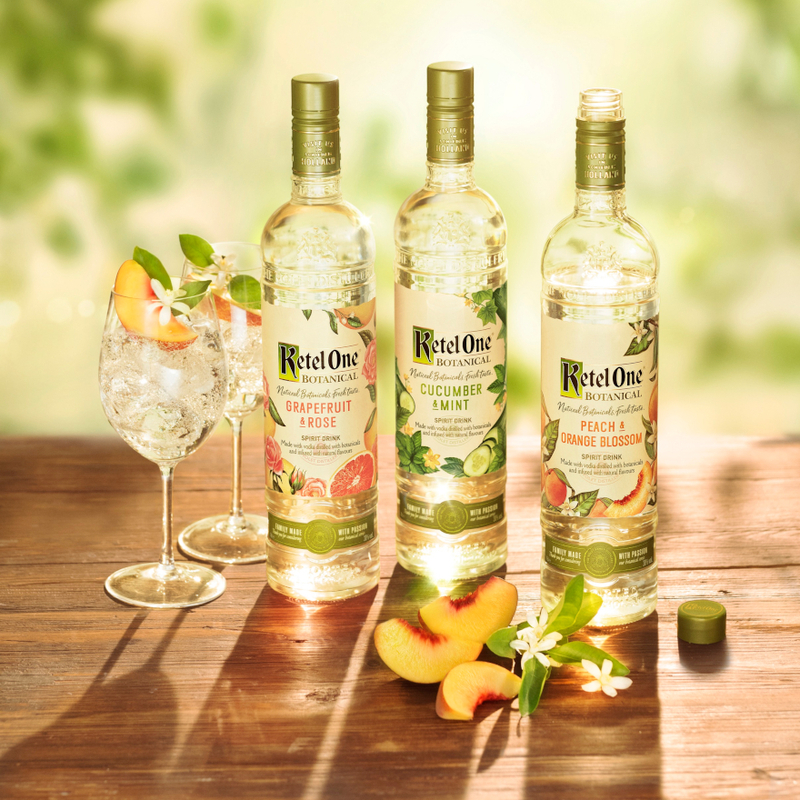 The finalists were each given five minutes to make their cocktail and tell their story and inspiration behind them. The judges were Tom Sandham, Jose Ballesteros and Ian Griffiths. They assessed each competitor on originality (10 points), brand fit (10 points), taste (30 points) and drink aesthetics (10 points). 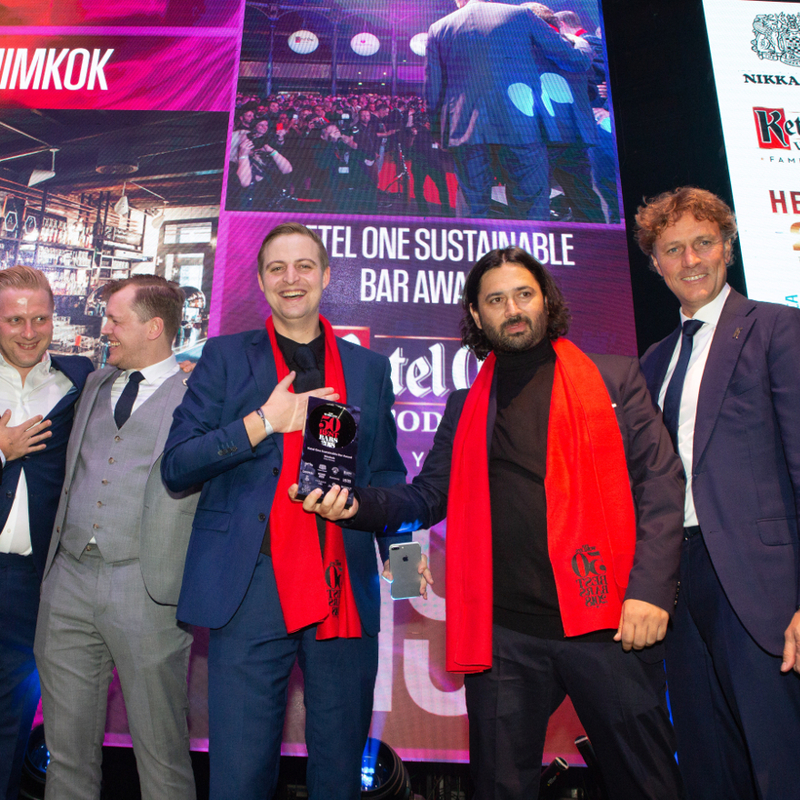 Well done to all the finalists, who produced some fantastic drinks with Diplomatico brands. And, congratulations to James Stevenson from Peg and Patriot, London, who wins a trip to Venezuela to compete in the global final. There follows each competitors drinks, recipes and story. 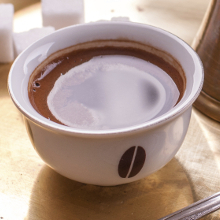 Method: Stir all the ingredients in a mixing glass and serve in a teacup. Light a flame and dry ice for visual effect on the side. Serve with a shot of hot coffee on the side. Back story: Nikolo took inspiration from Venezuela's beautiful landscapes: "landscapes that take you from the vertical Andes to the warm cosy seaside, from uncontaminated nature to really busy metropolis. These differences made me think of the four natural elements: water, earth, air and fire". It was these elements that he attempted to convey in his drink. Water was pretty straightforward and was represented by the rum: "in many countries around the world spirits are referred to with reference to water in their name - agua diente, fire water, vodka, little water, eau de vie and water of life." The second element, earth, was represented by coffee, coffee being a product of the earth, which he served on the side of his cocktail. "The coffee will give you a warm and bitter sensation which balances out the cold and sweetness and aromatic herbs of the cocktail". The remaining two elements were represented by a lit fire to one side of the cocktail "to remind you of the warm seaside", and on the other side of the drink a cloud produced with dry ice "to take you up to the clouds of the Andes". Spain, which gave Venezuala its heritage, was represented by sherry and Nikolo added an equal part of Nocino Liquer, "a walnut liqueur that comes from Italy, which is the country of my origins so I put a bit of myself into the drink. 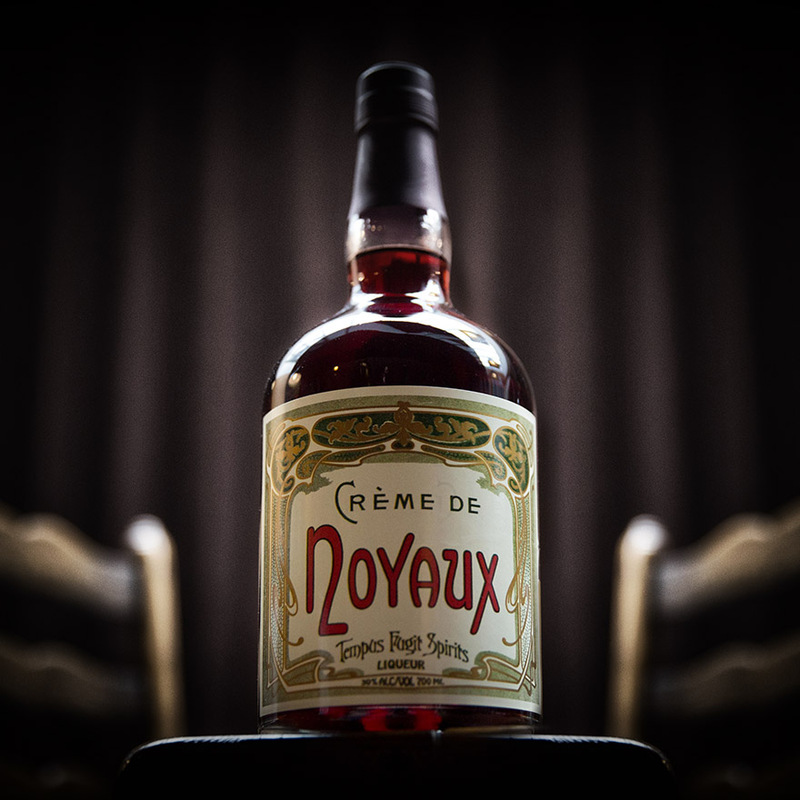 The Nocino Liquer will balance out the dry and sour notes of the sherry". Nikolo suggests that you first drink the coffee and then drink the cocktail. Method: Measure all ingredients into a chilled mixing glass, fill with ice and stir for approximately 25 seconds. Strain into chilled martini glass and garnish with Maraschino cherry, before attaching Spanish and Venezuelan flags with a miniature wooden peg. Back story:The judges were quite blown away by the sheer amount of information that James Bowker managed to deliver to them in his allotted time while making his cocktail. This was almost a history lesson. James told us that Don Juancho, the man on this bottle was incredibly passionate about rum and that to his mind there are three key things that are worth knowing about Don Juancho. "Firstly he loved travelling in South America, discovering new places and new ideas. Secondly he really liked to discover new artisanal techniques with which to make his rums and finally, he particularly loved discovering exotic new flavours, as demonstrated by his huge collection of rums and liqueurs". "And Don Juancho's passion for discovery was shared by Christopher Columbus, the man who discovered Venezuela for the West in 1498." "During the 15th century it was fashionable in Europe to own East Asian products. Sadly however the Silk Road that was the main trade route from East Asia to Europe was closed due to the Ottoman Mongolian war so it was decided that Columbus should sail westwards to get to Asia. On the way however he hit a speed bump, which was South America. His first port of call, after a long period becalmed at sea, was Trinidad and Tobago - some might say that he narrowly avoided a bitter end, so I've added Angostura Bitters to my drink. Columbus then continued on his journey and next discovers an incredible influx of fresh water. He describes this new discovery is his diary as the Terrestrial Paradise from which this cocktail takes its name". The lucky judges were then allowed to handle the very fragile, very rare, original copy of Columbus's diary, within which, James humbly observed tat Columbus had recorded his name and cocktail ingredients. "What Columbus had set out to find were the flavours and treasures of East Asia and what he stumbled across were the even greater treasures and flavours of South America. 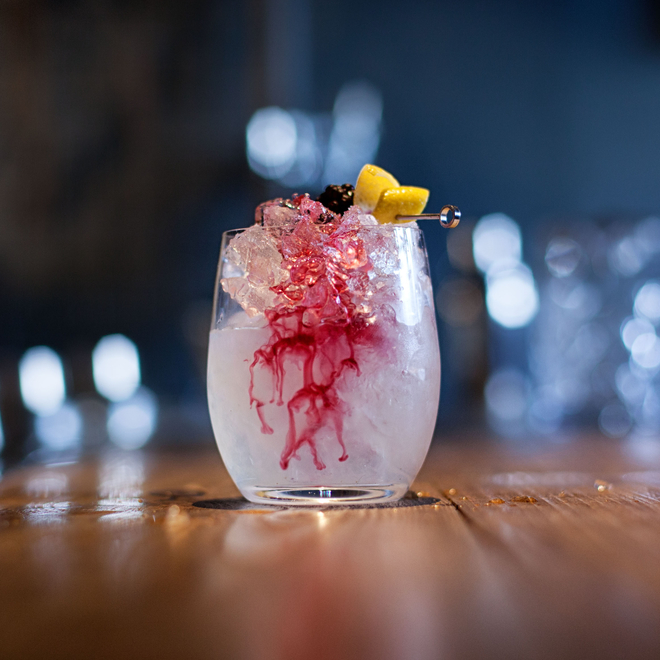 My drink takes the flavours from those two continents and binds them together"
Hence the use of three ingredients with South American roots, and two ingredients from East Asia. "Diplomatico Exclusiva is a blend of 20% column still and 80% pot still aged up to 12 years. This rum has its own proprietary yeast strain which was originally developed by The Seagram Company Ltd. The master distiller, Tito Cordera adds a little bit of fresh sugar cane to the aged rum before blending to enhance the flavours within in it and finally the molasses is such good quality because in Venezuela the government has a maximum price cap on sugar cane so it makes sense to produce sugar specially for the DUSA distillery. James had made his own infusion of cocoa nibs into sweet vermouth using nitrous oxide to give the vermouth a chocolaty flavour. "In the rum you get these rich chocolate and dark fruit flavours and the infusion is really going to bring them out and add a dryness to the drink." The third South American ingredient, Angostura Bitters "was originally developed in a small town called Angostura in Venezuela so it links right back to the rum and the tradition of creating great products in Venezuela". "Then we move to East Asia to a product that is based on an early European treat. In the 15th century people loved to eat what they called the Asian candied plum. They put Ume plums in barrels, added sugar and saki. Umeshu Plum Liqueur, which is a sake based Ume plum liqueur, is essentially that old favourite in a liqueur form. The Umeshu Plum Liqueur will bring a small amount of sweetness." "Finally from East Asia I'm adding two drops of Soy Sauce for salinity to enhance the flavours of the cocktail and bring a level of umami which leaves a lingering flavour that gets the mind questioning." Using a method that is thought to have originated with the tea makers of the East Asian Sung Dynasty and then moved to Europe and then to the Americas, James then threw his cocktail to aerate. "It's a great technique to use with vermouth based products". The cherry garnish on the cocktail was "reminiscent of the globe that Columbus got so hopelessly lost in". Method: Pour all other ingredients into a tin and fill with cubed ice. Throw until correct dilution and aeration is reached. Using a paintbrush, paint the top interior 1-2cm of the chilled martini glass with liquid cocoa butter. Allow to set. Decant cocktail into the painted vintage martini glass. • To make Tobacco sugar: 2grams American vanilla pipe tobacco per 100ml simple syrup. Stir and leave for 12 hours. Sieve through a muslin. Back story:Each of the judges was handed a letter of exile as Miran explained that he had taken inspiration for his cocktail came from a poster depicting former Venezuelan President Chávez reading about his overthrow. The irony of the situation that Chávez had already exiled himself to Berlin. Miran explained that he would make his cocktail according to his father's wisdom: "if you find a product that is perfect in terms of its beauty and delicacy all you want to do is enhance, enrich and protect it, and that's what I wanted to do for Diplomatico Anejo." 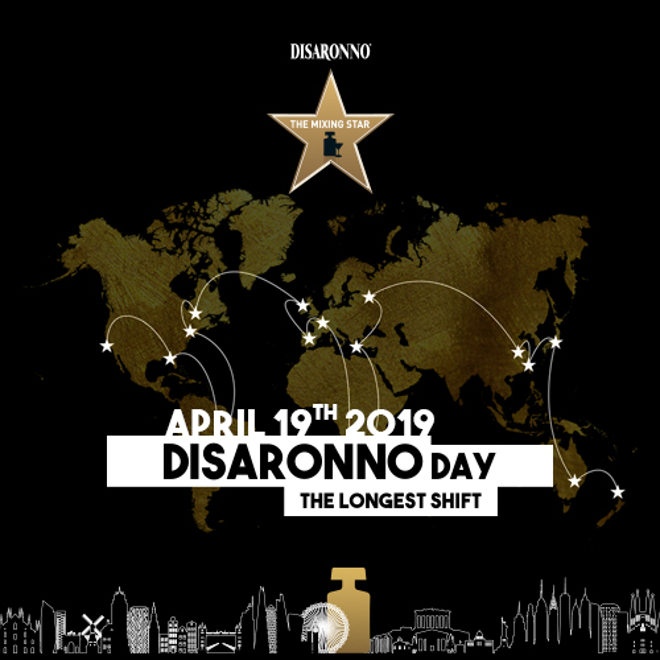 "I've found three distinct tasting notes in the Diplomatico: creamy fudge, curry powder spice and mocha coffee". "To enhance the syrupy creamy fudge texture I've used Cocchi Americano because unlike other vermouths is doesn't over dominate. To enrich the drink and enhance the coffee notes I'm using Nikka Pure Malt Black. It will give the rum some body and really enrich the colour." "To lengthen the curry spice note I've made a vanilla pipe tobacco sugar syrup using a vanilla pipe tobacco that I normally smoke. I wanted to replicate bitters without using a bitter and tobacco gives a nicotine swell on your throat to play along with the delicacy of the Anejo." "The last ingredient is a paint that I've made using cocoa butter which I heated with sea salt. This, painted on the inner rim of the glass, will enhance the mouth feel and its colour will create a contrast to this nice simple rustic anejo serve." Miran used a short shake for just for 5 - 7 % dilution in this short punchy serve. Back story: "Throughout the history of Venezuela there have been wars for freedom to establish a Venezuelan republic. My cocktail is created in honour of the soldiers who fought in those wars and the name of my cocktail translates as "father of freedom". As Martin creates his cocktail he describes how each of the ingredients he adds relate to the life of a soldier. "There are five important things that every soldier needs. The first is alcohol so I have used rum which gives courage for the fighters and gives body to my cocktail. Soldiers need food, and most of the fighters were based in the forest where they could gather fruit or herbs. They needed energy and the best source of energy is sugar which you can find in wild forest honey. Soldiers need to stay alert so I have added Yellow Chartreuse to give a kick so that they don't sleep and for balance I used lemon juice which has Vitamin C and is good for immunity and keeps you healthy." The cocktail was served in an army style pot which a soldier would have used for both his cooking and eating. Method: All ingredients except for the sorbet are stirred in a chilled mixing glass. 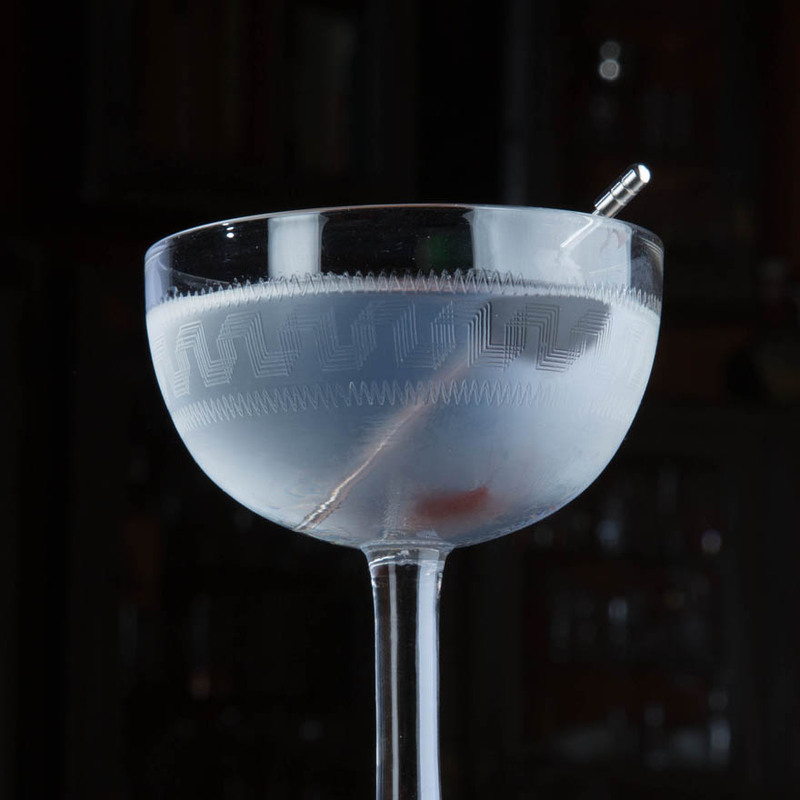 A round ball of the sorbet is added to a vintage Martini glass and the cocktail is poured on top of the sorbet. The drink is served on a small silver platter with a small teaspoon. Back story:"Rum is great because you can do whatever you want to it, there aren't really many rules". Anejo is James' favourite rum in the Diplomatico range for mixing cocktails: "I think its producers have a playful edge because the nose is light, fruity and woody and the palate has a whole bunch of coffee and creaminess. So I thought I'd do something playful". James included a clarified milk punch to act as a fat wash. "I made a fairly classic punch with loads of Diplomatico Blanco, loads of pineapple, spices and tea. I then added boiling milk, which curdles in the punch and strained it a few times to leave a nice viscous creamy finish". James gives the option to serve the watermelon and lime sorbet in the glass or on the side. "There are a lot of drinks that dictate how they are drunk - I wanted to offer alternatives". "The sorbet can be a palate cleanser as the drink is quite sweet or once you're halfway through you can fire the sorbet into the drink and you've got a beautiful frozen water melon daiquiri." Method: Add all ingredients except port to a small Boston tin. Dry shake vigorously to soften and emulsify the egg. Fill with ice and shake again to chill. Fine strain into a steel goblet. Float port. Add grated nutmeg to garnish. 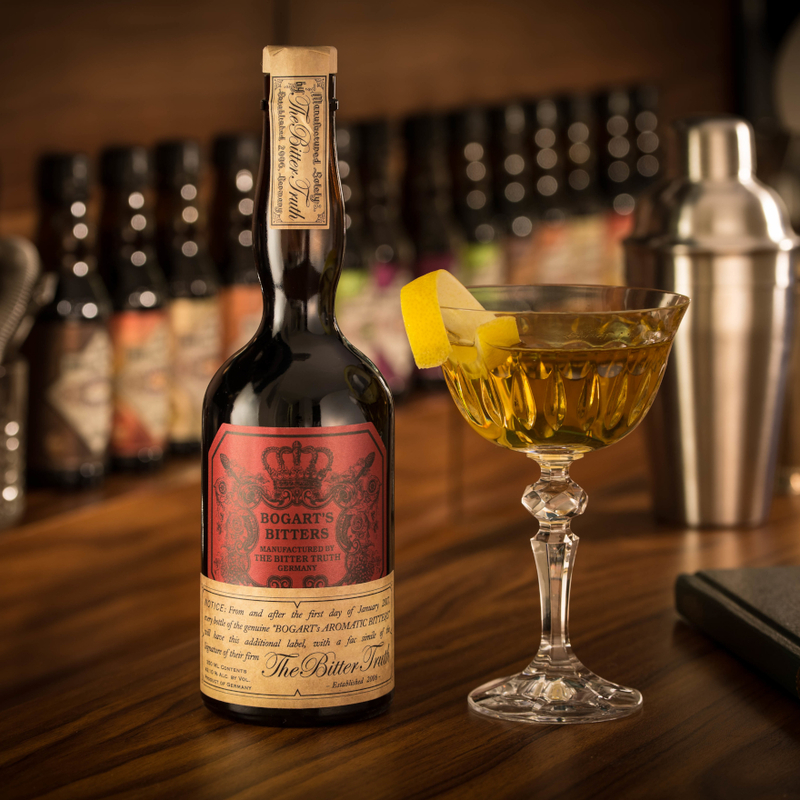 Back story:Joe's intention was to create rum based version of the forgotten classic, the Coffee Cocktail which appears in Jerry Thomas' Bartenders Guide of 1877, and in The Savoy Cocktail Book, first published in 1930. "The original recipe was equal parts port and brandy with a bit of sugar and egg and some nutmeg". The Savoy added a dash of Curaçao ". "Diplomatico Blanco is made with half column still and half pot still distilled spirit, giving it a nice elegance with some British style balls in there as well. It has light mocha notes to replicate the coffee in the original cocktail, as well as a little bit of orange peel. The Exclusiva, which is 20:80 column still to pot still rum, has a lot more balls with elegance as well. Its rich deep espresso dark chocolate caramel flavours works perfectly as a base for this drink." The secret weapon in Joe's drink was the Rapadura sugar syrup. "Rapadura sugar is an unrefined raw sugar cane extract which is used a lot in South and Latin American dishes. It's rich viscous consistency is a lot like molasses and it tastes a little bit bitter which means that using quite a lot of it isn't such a bad thing". Joe dry shook the cocktail to add viscosity, chilled and expanded the flavour with a short sharp wet shake, poured and then floated port. "The Australian tawny port gives a lovely light slightly bitter but nice dried fruit note. The soul of the drink is the egg and a couple of pinches of Himalayan rock salt. The salt acts as a flavour enhancer and balances the bitterness". Method: Add all ingredients to a cocktail shaker, fill with cubed ice and shake for 6-8 seconds. Double strain into a pre chilled Coupette, garnish with a simple cut Blood Orange Twist. Back story:For Dave Johnston, Diplomatico Reserva Exclusiva is the perfect sipping rum and his intention was to lengthen its notes and flavours and translate them into a cocktail that people who don't usually like sipping straight spirits could enjoy. He particularly wanted to play on the chocolate and orange notes in the rum. "I'm a massive fan of blood oranges which are just in season - their colour is stunning at the moment". Dave balanced the sweetness of the blood orange with bitterness from the Aperol, and to balance these two, and for the chocolate element in the drink, he added Joseph Carton Creme D Cacao Blanco". This also added sweetness, just a little bit of viscosity to coat the inside of the mouth and bound the rest of the ingredients together. To cut through the sweetness he added freshly squeezed lemon juice and Fee Aztec Chocolate Bitters. "The chocolate bitters do such a good job of bringing the chocolate notes through at the end. The blood orange is there to enable it". "It's quite a simple drink, easy to make at home but it's a drink that has the components and complexities needed to accentuate the rum and let it do the talking." "I've heard the sunsets in Venezuela are stunning so I called the drink La Miel Sunset and used a very simple garnish of orange twist. Method: Add all ingredients, stir and strain into a coupette. Garnish with Norfolk sorrel. Back story:James made a rich rum based martini. He named it White Noise because although it has big flavours, it's completely clear. "I wanted to make it clear as a celebration of the production techniques used in creating Diplomatico Blanco which is filtered through charcoal." "The beautiful thing about Diplomatico Blanco, and what I want to convey within this martini, is its complexities and creamy malted milk richness". James says this comes from the way it's produced using 100% Venezuelan sugar cane and the two year ageing in white oak casks according to Venezuelan law. "I'm going to try and bring out all those creamy elements but still make a classic president style cocktail." James added a British twist to his cocktail with his garnish of Norfolk sorrel. "The sorrel is a citrus bomb to be eaten at the end as a palate cleanser after your creamy rich martini"
Method: Shake all ingredients and double strain. Discarded Lemon zest. Back story:La Estampilla means stamp in Spanish and Robin hopes that just as stamps represent their home countries as they travel around the world, so will this drink represent Diplomatico. "I wanted to create something simple and elegant that would appeal to both rum drinkers and non-rum drinkers so I chose to use Diplomatico Blanco which is produced through a combination of light and dark rums and is filtered to achieve its clearness. And of course because we are strictly a white spirits bar at Pond". To balance out the chocolate flavours in the rum Robin called on the nutty chocolate notes in a amontillado sherry cordial that she had prepared earlier. After reducing the sherry, she had combined it in a 1:1 ratio with sugar syrup and added citric and malic acid. She added two dashes of lemon bitters to her cocktail to create a creamy mouthfeel and to enhance the citrus in the rum. Method: Pour into a smoking vessel and add a bit of cherry smoke. Serve in a rocks glass with Fudge and Plantain. Back story:For Pat there is a lot of toffee, some banana and cherry with soft chocolate on the finish of Diplomatio Reserva Exclusiva. "It's not a big woody rum up front, it's sweet and it has dry tropical fruit. In an attempt to enhance this I'm going to add Emanuelle Tiki Bitters with its nice pimento and little bit of clove." To prepare his customised liqueur, Pat had steeped dried banana and plantain for seven days under vacuum in Jade Perique Tobacco Liqueur. He used Orchard Syrup "an ingredient which has been defunct for some time an is produced from overripe fruit. This adds a luscious mouth feel". "Because rum is fun I'm adding a generous 2oz. and topping with ice.